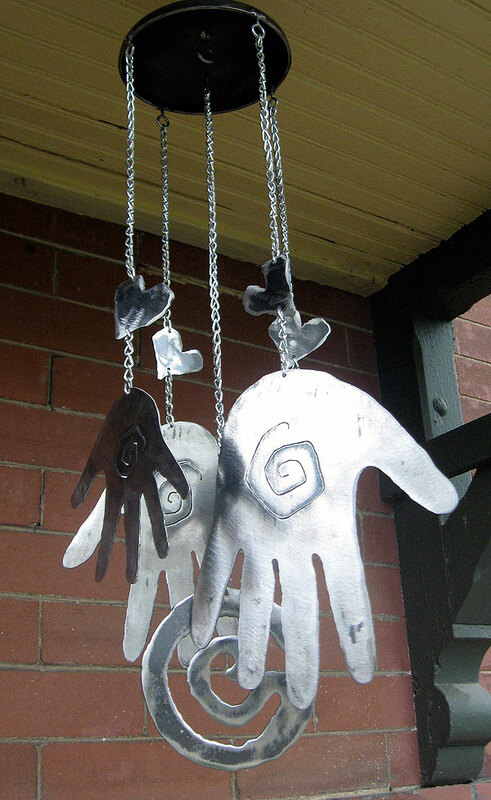 Another hand windchime left the shop today. This simple sculpture is made for a family. It captures the handprints of both parents and their children. A gentle breeze will kickoff the sweet tinging of the metal. This piece is made to hang inside or out.